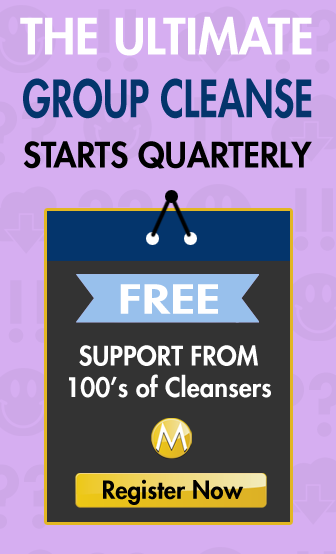 Most people feel energized and compelled to exercise while on the Master Cleanse. They report feeling healthy and strong through some of the most invigorating work-outs. I have worked out while on the cleanse, and I agree with all those reports. I have ran for 45 minutes on several days times during a cleanse. I have played hockey a gruelling anaerobic team sport activity, on two occasions over a 2 week master cleanse. In fact, I was running on the days I wasn't playing hockey during this particular cleanse. Check out this video that covers some of the extremes of The Master Cleanse and exercise, including a presumably even more gruelling triathlete who was training for their competition while on the master cleanse. Should you avoid Working Out on The Master Cleanse? However, while on The Master Cleanse you can feel sick at times as the toxins are removed and your immune system is more vulnerable, so some people feel like relaxing and taking it easy. That's ok.
For most people a nice balanced compromise is the way to go. It's important to listen to your body: if you feel like resting, then it's not a good idea to force your body through a grueling workout especially when cleansing. However, some people will feel compelled to get moving, and that's just fine. Avoid muscle building work-outs, since you're not taking any protein. Although this has been done, logic tells us that any workout that causes you to be stiff the next day due to “micro trauma to the muscle fibers” as you literally tear the muscle fibers so that your body will repair them stronger (isn't it cool that our body does that). Exercise in moderation (within your normal bounds). The key take-away from the video above regarding working out on the lemonade diet particularly is that don't start, training for a triathlete when your best olympic sport has traditionally been couch surfing, or you can't even do 10 lay-downs let alone 10 pushups. You have to let your normal be your guide. Stay Hydrated and “Eat a LOT”. Just because the average daily intake of lemonade servings while on the lemonade detox is 10 glasses, doesn't mean you should limit yourself to that. You can take double that. Even triple, if your caloric expenditure dictates, and if you're satisfying #1 and #2 rules above on the master cleanse and working out. You can also ensure your water intake is at least matching your lemonade intake. You could also 1.5x or 2x your water to lemonade ratio. Of course, there are many types of exercise one could do while on the Master Cleanse. Some are more strenuous than others. Light jogs and walks help a lot, as does some other obvious exercises like Yoga. These in fact are highly recommended exercises while cleansing. Here's a list of some common recommended activities you can try while on a detox or cleanse. If you want to see our recommended Master Cleanse Workout organized into a daily and weekly routine, please tell us where you want us to send the report by clicking here (currently unavailable). What kind of exercise do you like to do while on The Master Cleanse? Please tell us your experience with the master cleanse and exercise. What exercises do you like the most? Which workouts caused you problems. Why do you think that is? Do you have any tips for specific workouts, or how to make them more effective. I’m on day 4 of a 7 day cleanse. Because of all of the warnings I was pretty afraid to workout until I decided to give it a shot yesterday. After 40 minutes of yoga and 10 minutes of abs yesterday I had the same amount of energy prior to working out. My energy has been virtually unaffected with the exception of a slower morning, however by 10am after a glass or two of lemonade I’m rockin’ at my normal pace. Today I anticipate hitting lower abs as well as a quick walk. I’m unaware of any ‘weight’ difference, but bloating is at an all time low and my face is slimming down. Always listen to YOUR body. It knows what it’s capable. 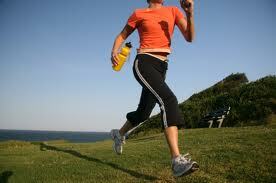 If you feel sick or lethargic at anytime, I recommend holding off on excersize until your finished. I’m finishing up with the cleanse after 6 days.. Today is my orange juice day and I went for a walk this morning without drinking any water.. After a 7 mile walk I got in the car and my legs and upper thighs felt like they were so weak. I was very sore.. I was about to shower and noticed my up legs and thighs were bruised.. I started drinking lots of water and orange juice hoping all is ok.. Maybe is wasn’t a good idea to walk without drinking any water..
I’m on day 7 of 18 of the cleanse and so far I’ve lost 10 lbs. I’m steadily losing a pound a day which is great and I’m getting the results i wanted but I was wondering if working out would bump my weight lose to 2 or 3 lbs a day? has anyone tried working out and saw a bigger difference in weight loss? I’m asking because I have friends coming to visit me who have not seen me in a year and I’ve packed on some pounds since then. I’d really like to shed a little more if possible.